As the price of crude oil continues to take a plunge, Nigeria’s gross reserves which slipped to $29.916billion on November 30, have again declined by $574 million to $29.341 billion as at December 22, 2015 (barely 3 weeks). Data from the Central Bank of Nigeria (CBN) showed that the November and December figures were the first periods they fell below $30 billion since July 13. 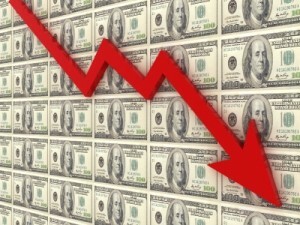 The foreign exchange reserves fell to $30.04 billion by November 26 from $30.10 billion the month before. According to figures released by the CBN, the reserves were down 18.6 per cent on the year from $36.9 billion in the same period in 2014. They have fallen by 20 per cent since the end of June 2014, when Brent crude prices began a more than 60 per cent plunge, hammering Nigerian finances. According to the bank, the price of crude oil at the international market stood at $44.27 per barrel as at November 30, and $35. 56 as at today, putting more pressure on the Central Bank’s bid to defend the naira and avoid a devaluation. CBN had already implemented restrictions on the import of non-essential products. The apex bank’s decision to defend the naira through selling dollar to the parallel market on a weekly basis made the reserves fall to $30.69 billion in September – a short fall from $31.63 billion on the figures from August – and 22.42 percent less than it was in September 2014. In October however, the CBN shifted the naira peg from N197.96 to N197, following a fall of over a billion dollars in reserves within the month.